The MDC was established in 1983 through a grant from the Florida Department of Education and is under the direction of the FSU College of Social Work. 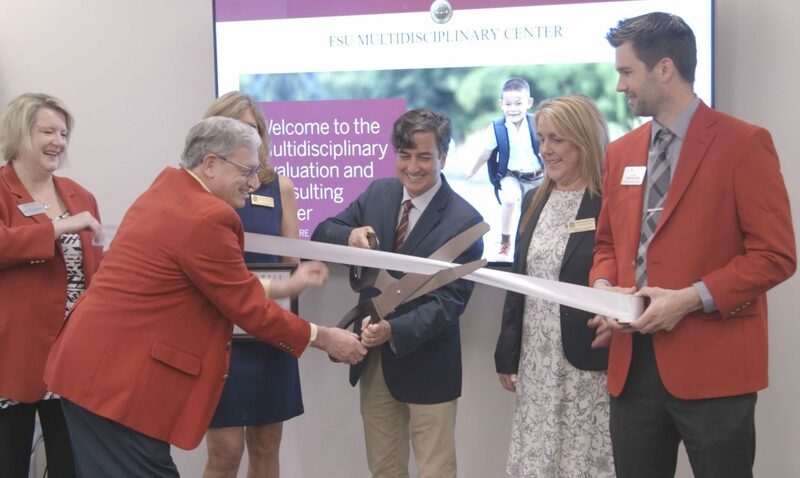 The Florida State University College of Social Work celebrated the new location of the FSU Multidisciplinary Evaluation and Consulting Center on Wednesday, March 28. The new site is located just west of the main campus. Previously, the Multidisciplinary Center (MDC) occupied space on Gaines Street in Collegetown. The MDC was established in 1983 through a grant from the Florida Department of Education and is under the direction of the FSU College of Social Work. It is a university-based diagnostic and training center that services school-aged children with a variety of education, medical and behavioral health issues. The new site is equipped with several testing and observation rooms, a conference room, a space for group therapy sessions and a reception area. In 1994, the center began an internship program and received accreditation in 2007 from the American Psychological Association. The event also marked the kick off of the Center for the Study and Promotion of Communities, Families, and Children. The college recently hired Ellen Piekalkiewicz to lead the center, which is designed to help synergize the work of the multiple centers and institutes under the college’s purview. The Center for the Study and Promotion of Communities, Families, and Children was established in the fall 2017 through the support of The Stoops Family Foundation, Inc. and FSU alumni Jeff and Aggie Stoops. For more information, visit csw.fsu.edu.